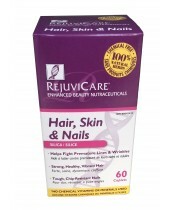 RejuviCare products are designed to meet all your anti-aging beauty needs. They target the aging issues from the inside rather than masking them from the outside like most other products. They use updated and revolutionary technology to target these problems with aging and slow or even reverse them so you look as youthful as ever. Not only do RejuviCare products reverse or slow these signs of aging, but they also allow the body to build a stronger natural defense against the aging process. Stay youthful with RejuviCare!